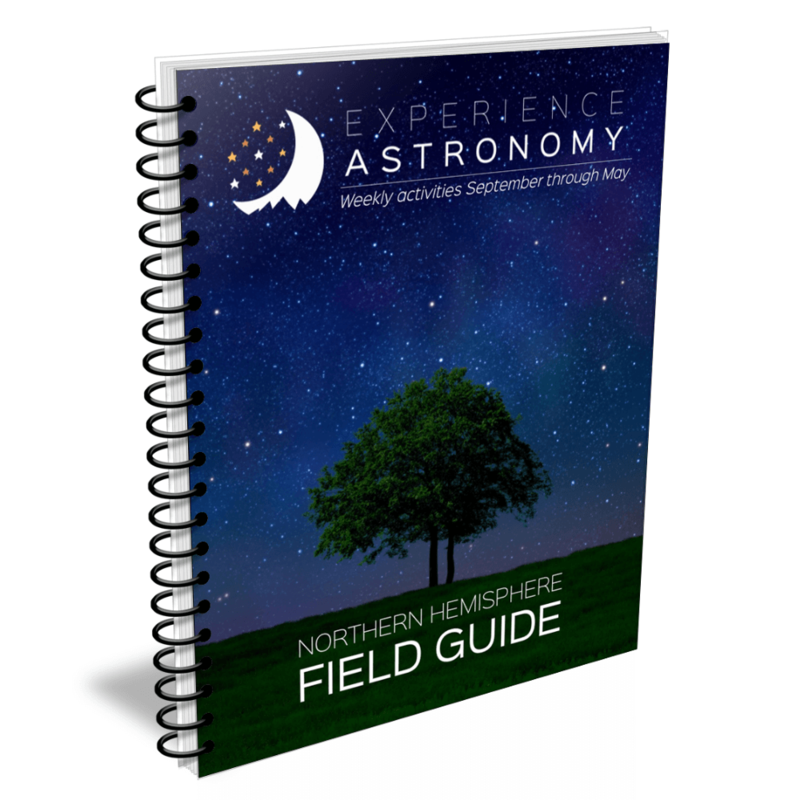 The goal of this Field Guide is to equip students get outside to familiarize themselves with the sky. Through weekly assignments from September through May, students will learn about the motions of the sun, moon, stars, and planets. A digital version of this Field Guide is provided for free for all students who register for either our Basic or the Advanced online courses (not used with the elementary course), but students can purchase a spiral-bound edition here if they wish. The best way to study astronomy is by going outside and taking the time to look up. The goal of this Field Guide is to equip students to do just that. Through weekly assignments from September through May, students will learn about the motions of the sun, moon, stars, and planets. 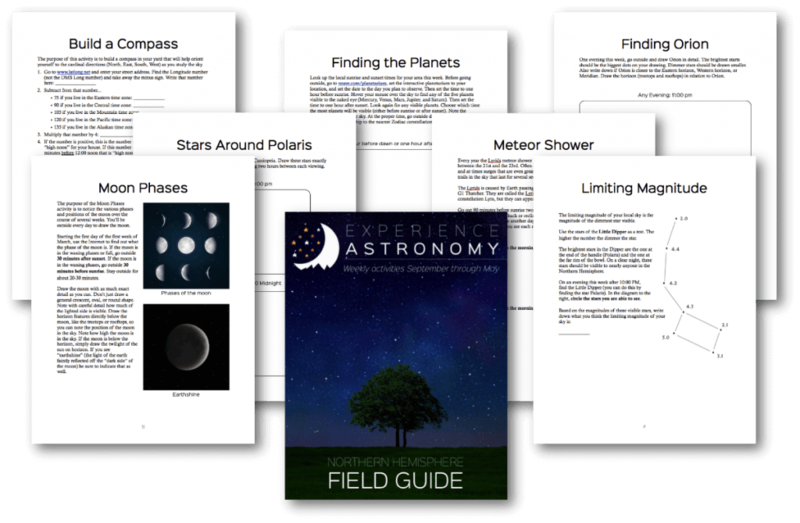 This workbook is designed for ages 10 and up, but younger students may need assistance locating the sky objects. Most of these activities are quick and easy. Nearly all of them can be completed in 10-30 minutes. However, many of the activities involve students going outside as “odd” hours (late evening, midnight, before dawn, etc.). This guide is not an astronomy textbook. It does not “teach” a student astronomy principles but gives students hands-on practice studying the sky themselves. Register for our online course for junior and senior high students for this. Nearly all of these assignments are “weather permitting.” It is important to take advantage of clear nights to keep up with the flow of assignments. If a week’s assignments have to be postponed because of poor weather, in most cases this will not be an issue.